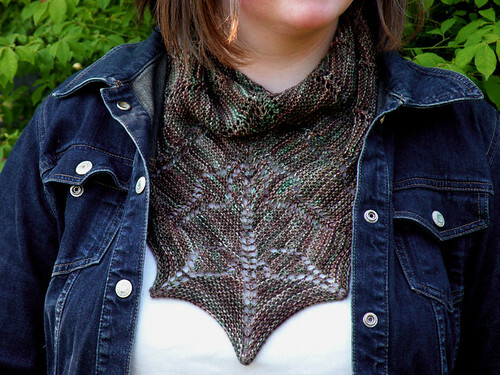 Quick knits seem to be calling my name, so the Milkweed Shawl was right up my alley! I cast on this past Thursday, but didn’t have much time to work on it until Saturday. Last night, while watching a couple talks on TED, I cast off. 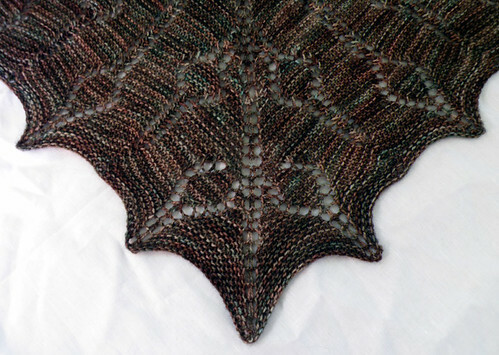 The shawl was knit out of one skein of Sundara Sock in Tilth, on size 3 needles. And believe it or not, this isn’t the only finished project I have to show you! Another one is coming later this week. Looks great! I can’t remember if I have that one queued up or not, but if I don’t, it’ll be hitting the list. Love the color, too! So that is that little thing you were working on Friday!?! Beautiful! Nice pictures, nicer if I could see your face! secondly, um gorgeous much?! beautiful! That’s so gorgeous! The shape is lovely. Gee, I’m such a slow poke in this knitting game. All around me are beautiful FOs being blogged about and I have nothing much to show. Whereas you are just a lean, mean knitting machine! 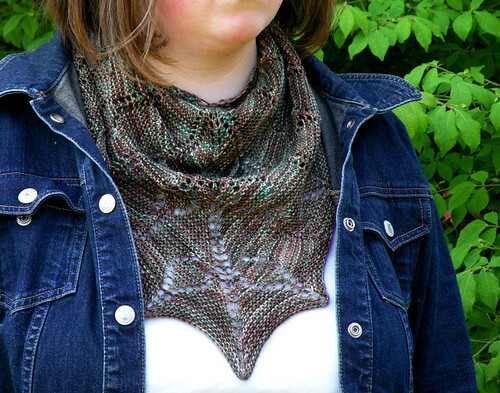 This shawl looks excellent. Great match for the colourway too. I love how your Mom reads and comments on your blog!